Bob Grogan *has* really been busy out on the campaign trail. 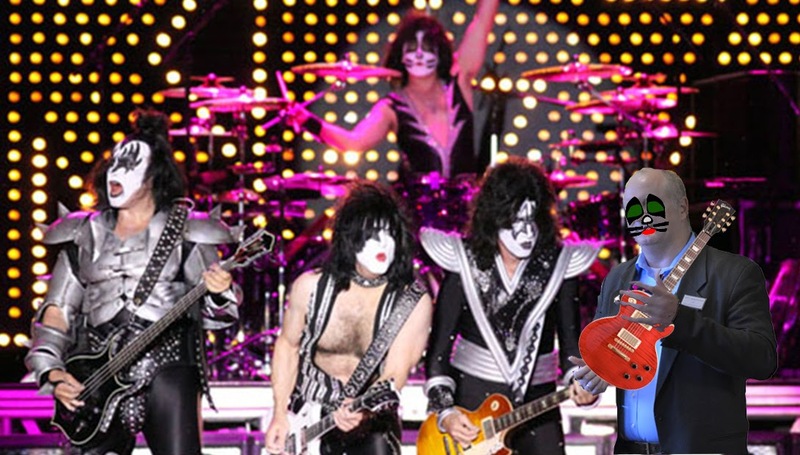 In addition to lending a hand with Bob Costas and his pink eye, paying respects to Shirley Temple and even discussing his (alleged) interest in burritos, he found even found time to hit the stage with Gene, Paul and the boys from KISS. Thanks to the Truth Team reader who sent this in. Keep 'em coming! Grab the photoshop file here. For those of you who are here for the first time, you can read the first post/watch the initial video to understand why we're celebrating Bob Grogan, DuPage County Auditor with photoshop. He's paying attention, people!